tawk.to is a free live chat software, it was messaging app that lets you monitor and chat with visitors on your website or from a free customizable page. 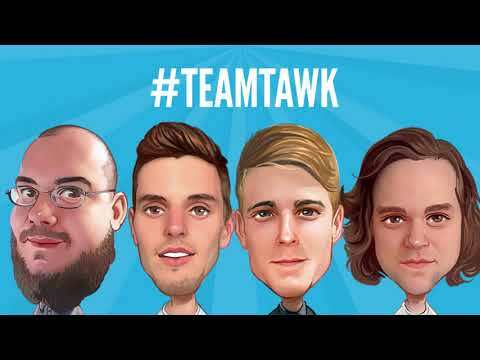 tawk.to is jam packed with all the features you need to provide winning customer support. Tawk.to is lightning fast, reliable and scalable. Tawk.to is jam-packed with all the features you need to provide winning customer support - it is lightning fast, reliable and scalable. If you already use live chat on your site, there really is no reason to keep paying per agent. Integrate with Wordpress, Joomla, Magento, etc..
Q. How does the Twak.to service work? Prior to allocating Live Agents to your project, Twak.to undertake a full audit of your requirements & any systems or processes we need to put in place to ensure we best represent you and your company. We have developed a process to help us collate all the information agents will need to answer the queries of your website's visitors correctly and efficiently; please do take some time to go through the questions and provide detailed answers to each. The more information we have, the better equipped we will be to service your website visitors. Q. What hours are the live chat agents available at Twak.to? Twak.to agents are always available to answer chats on your behalf. We never close. We provide live answering services 24 hours a day, 7 days a week, 365 days a year. Q. Do I have to sign a contract for Twak.to? Q. Do Twak.to charge for lead capturing? No Twak.to never charge you for capturing a sales lead. We don't charge on a per lead basis. Q. Which languages do Twak.to agents speak? During the beta period we will only be offering live answering in English. We will be adding more languages in the Twak.to near future however.